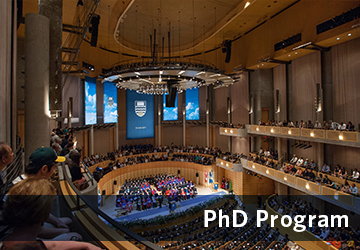 UBC iSchool (Library, Archival and Information Studies) offers a research intensive study environment with international partnerships and competitive funding, at one of the top 20 public universities in the world. Although at a large university, iSchool students have ready access to their professors, and a large variety of work-based learning opportunities at local, national and international organizations. Come to one of our information sessions to learn more about our programs. 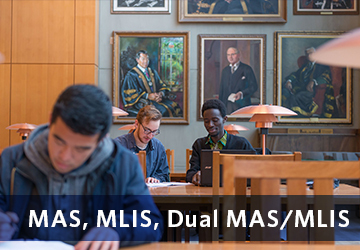 Apply for the Master of Archival Studies (MAS), Master of Library and Information Studies (MLIS), or the Dual MAS/MLIS program. 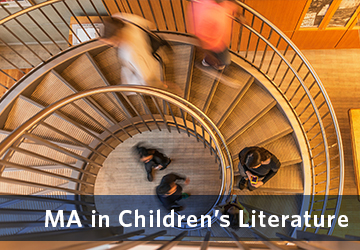 Apply for the interdisciplinary Master of Arts in Children’s Literature (MACL) Program. Apply for the PhD program in Library, Archival and Information Studies.